Updated bracket can be viewed or downloaded below. NEW HAVEN, Mo. 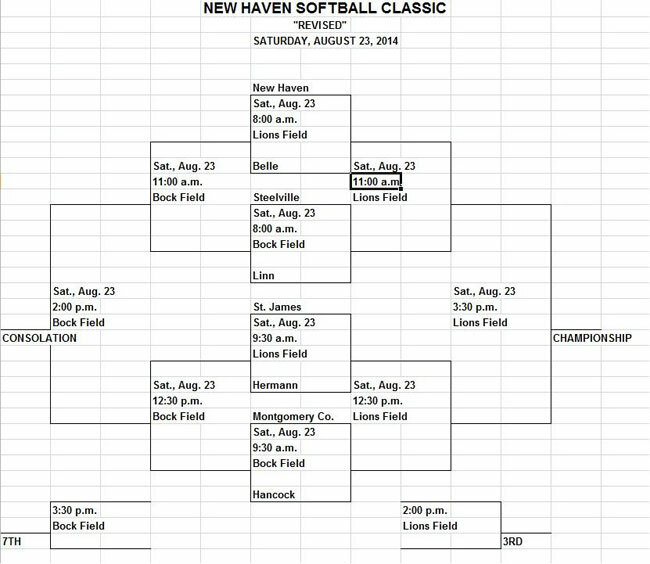 - Earlier this morning New Haven Athletic Director Ray Steinhoff issued the following statement regarding changes in game times for this weekend’s New Haven Softball Classic.Steinhoff Said, “Due to the expected high temperatures and high heat index forecasted for Saturday, we have adjusted the schedule for the New Haven Varsity Softball Classic. Below is an updated bracket. Click on the bracket to download a copy.